Every now and then a generational step change in technology comes along, which has a profound impact on military operational capability. In the late 19th century it was Charles Parsons’ steam-turbine-powered vessel Turbinia. At a Queen Victoria Diamond Jubilee Fleet Review in 1897 off the coast of Portsmouth, the Turbinia, travelling at speeds of up to 34.5 knots, outmanoeuvred and outpaced the Royal Navy’s fleet. It must have been a bittersweet moment for Parsons who, as legend has it, spent several years leading up to that fateful moment trying to get the Royal Navy’s Admiralty to acknowledge his invention. Not long after the Fleet Review warships were fitted with Parsons’ steam turbine system, which led to the development of a new generation of 20th century warships called Dreadnought. Today, the Royal Navy (RN) finds itself on the brink of another ‘generational step change,’ this time in the area of unmanned systems. Eager to heed the cautionary tale of his predecessors who shunned Parsons’ overtures, the UK Royal Navy’s First Sea Lord, Admiral Sir George Zambellas, seems keen to swim with rather than against the tide of technological change. In October 2014, he announced the Unmanned Warrior demonstration programme, which will take place alongside the Joint Warrior exercise off the coast of Scotland in October this year. Unmanned Warrior will showcase unmanned systems and capabilities from approximately 40 participants, including industry, small- and medium-sized enterprises (SMEs) and academia, as well as the US Navy. 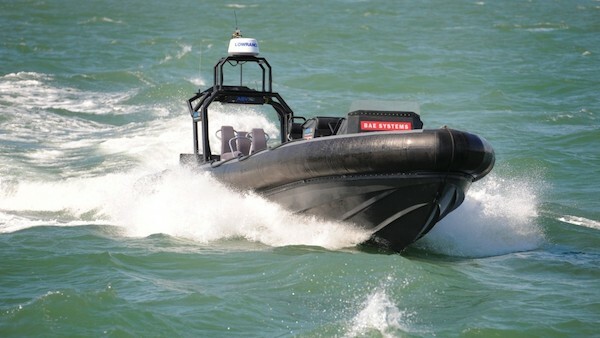 Companies that have signed up for Unmanned Warrior include unmanned flight specialist Blue Bear Systems Research, MSubs, Autonomous Surface Vehicles, Atlas Electronik, BAE Systems and Thales. Mine countermeasures (using unmanned systems for mine sweeping, inspection and disposal). 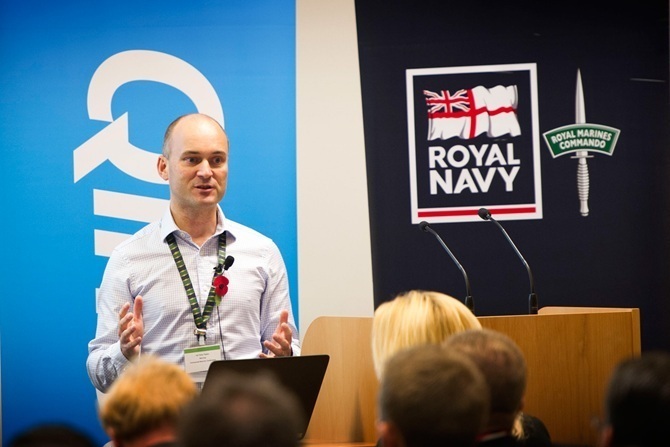 “There’s been a step change in the mindset that unmanned systems are now in a position where we can relatively easily forsee them being part Commander Peter Pipkin, Fleet Robotics Officer and Royal Navy lead for Unmanned Warrior. The Fleet Robotics Officer post was traditionally associated with maritime combat systems. But last year, Cdr. Pipkin says it was broadened to provide leadership on robotics, autonomy and unmanned systems and how these platforms and capabilities can be delivered and integrated within the RN. Cdr. Pipkin says unmanned systems are but one aspect of technological capability, which may benefit from a more collaborative approach without the bridle of a specific contract or requirement. “Industry often want to know what is it you want, but very often that is difficult to articulate because the world is a place of unknowns.” Unmanned Warrior is not just about challenging how future operational capability is developed and delivered. Running concurrently with the Joint Warrior Exercise, which runs twice a year and attracts a number of international participants, it also provides the opportunity to test unmanned platforms and sensors in a live environment with real ships and aircraft. Cdr. Pipkin says safety will be paramount and that there will be processes in place to ensure the quality of output particularly for those unmanned systems that are towards the experimental end, compared with those items of kit that are off the shelf and ready to go. Testing the integration of multiple unmanned systems with RN maritime C2 systems is also one of Unmanned Warrior’s objectives. Whilst that is likely to be more challenging for less mature systems, if the exercise enables live video footage or a radar picture of a bit of sea space from an unmanned system to be fed to a two-star maritime component commander, providing them with a service they are unable to get anywhere else, Cdr. Pipkin says the exercise will have achieved what it set out to do.